I surprised myself with this one! Usually I work from a sketch first, but this time it was straight freehand on the computer using Adobe Illustrator. With a mouse and not a drawing tablet (because I don’t have one). There honestly was no real reason why I skipped the sketching step other than pure laziness. It took me about maybe two 3 hour sessions to get it to this point. 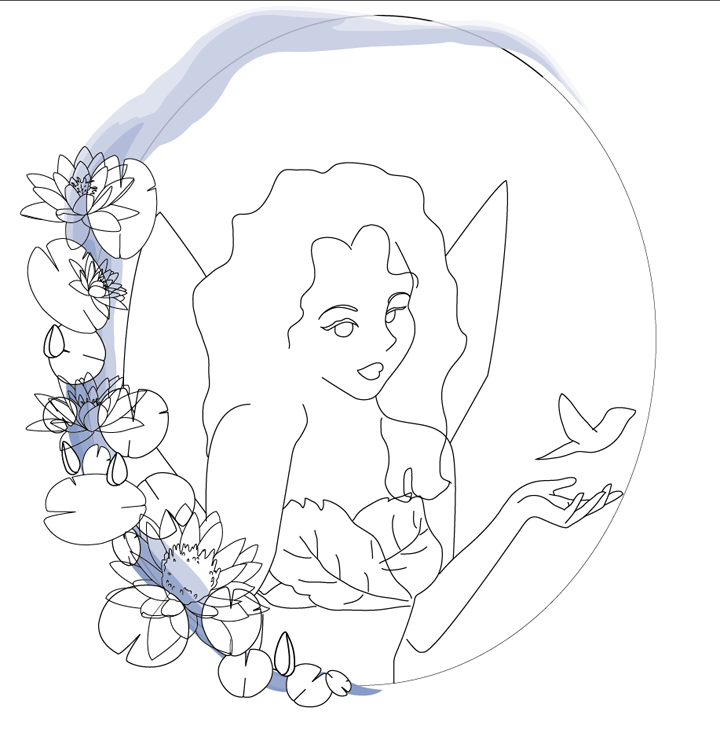 This might be the first of a few mermaid ideas I’ll work on, but probably the only digital piece. We’ll see though! It turned out better than I expected so I thought I should share it. I also think it’s worth noting that it even though my entry to the contest might not win, it felt really great to be productive and complete something – even if it wasn’t serious!